ME ON JOIN WITH US.. PLEASE LIKE, COMMENT, AND SUBSCRIBE ON OUR FansPage.. THIS IS NON DONATION SERVER. 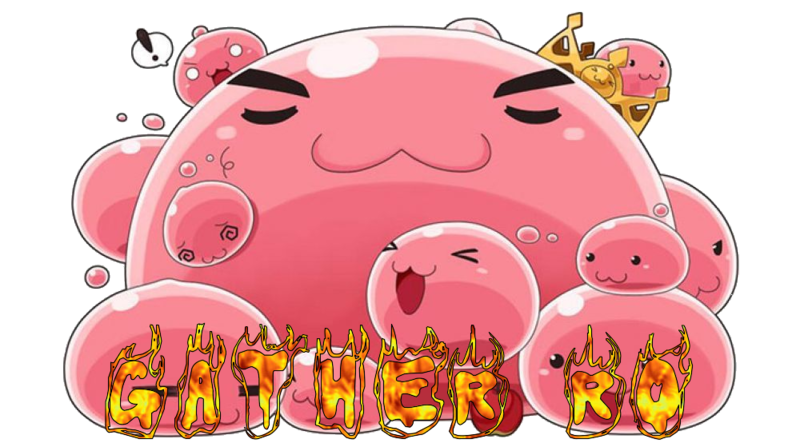 GATHER RO ONLINE PRIVATE SERVER JOIN WITH US NOW!! WE ARE WAITING FOR YOU .. THIS IS UR HOME "RAGNALOVERS"
Event Guild Migration Invite your guild member and get his reward - a set of wolf + tidal @ refine + 7 - 5,000 aloe leaflets - 5,000 aloevera - 500 yellow gemstone - 500 blue gemstone - 500 red gemstone The respected chair & members will each receive @ 200 poring coin. Terms and conditions : - Must have at least 7 active members playing in Gather Ragnarok (plus chairman to 8 org) - All members are required 2-1 or 2-2 jobs. - Confirmation of the reward must make a prior appointment to GM, Mandatory through Forum / Facebook. - All guild members (8 people) must be online at the time of reward transaction. - All reward rations are given in 1x transaction to the guild chair. - If there is a leader / member who leaves the guild and moves to another guild then will not get poring coin. Hello GatherRO! For those of you who currently play on other servers and are interested in migrating to GatherRO servers, we will provide migration rewards below. Guild Master: 10.000.000z 23,000 cash points Random costume item set 5 +7 refine armor 3 +8 refine weapons lvl 99 1 char Guild Member: 5.000.000z 1,000 cash points Random costume headgear 5 +7 refine armor 3 +7 refine weapons Reward above can you claim through GM with several conditions: - Send your screenshoot guild photos on the previous server. - Minimum guild member 7 + 1 guild chair for a total of 8 people - At the time of taking the reward must ol simultaneously. - No Dual Login, 1 unique IP (We can see your IP) Have you met the terms above? please contact us via WA / via GM / FANSPAGE to arrange your claim time! For old players who later become referrals, we provide attractive prizes that are proportional to the number of players who enter. Thanks.